LIU Brooklyn Accounting Professor Myrna Fischman, Ph.D., CPA, kicked off her 49th year at the University last month with the start of the fall semester, following a very eventful time in the spotlight. On Oct. 4, The Wall Street Journal published an announcement from the Marquis’ Who’s Who Magazine, which had honored Dr. Fischman with a Lifetime Achievement award. On Sept. 12, Dr. Fischman was honored as a Woman of Empowerment by P.O.W.E.R. (Professional Organization of Women of Excellence Recognized) for “her outstanding contributions and achievements for over 50 years in the fields of finance and education,” the organization said. In July, CUTV news profiled Dr. Fischman in an hour-long video feature with host Jim Masters. Masters, who earned his Bachelor’s in communications from LIU Post, also hosted Fischman three times on his radio show this summer. 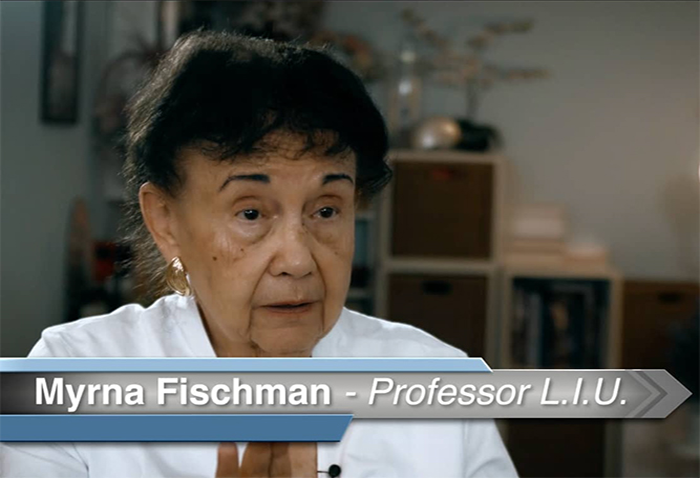 Dr. Fischman began her career at LIU in 1970 as an adjunct. She has been a professor of accounting, taxation and tax law since 1979, a director of the School of Professional Accountancy since 1984, and a director of the Center for Accounting & Tax Education since 1986, as well as the accounting department chairman and the coordinator of the graduate capstone courses. She says she has no plans to slow down. Dr. Fischman exhibits a conspicuous passion for her profession and the University, underscoring the tremendous value in LIU’s emphasis on small class sizes and engaged learning in the classroom. In addition to gushing about her fellow faculty members, Dr. Fischman enthused about the experiential education on display through conducting real audits and earning internships at prominent companies. Dr. Fischman has been the recipient of a number of other prestigious awards including a 2014 Department of the Treasury Award from the IRS, a 1997 Special Director’s Award in Recognition of 40 Years of Service in the Volunteers in Technical Service Program, and a Distinguished Worldwide Humanitarian Award. She established the Myrna L. Fischman Excellence in Accounting Scholarship to provide financial aid to deserving candidates interested in pursuing a similar career path. She’s also had a successful career as an accountant in private practice. Starting out, she served in the office of the Queens District Attorney as a community fellowship coordinator and the chief accountant investigator in the rackets division. Later she was an assistant controller at Sam Goody, Inc. She is a member of the New York State Society of Certified Public Accountants and past president of its Brooklyn chapter.